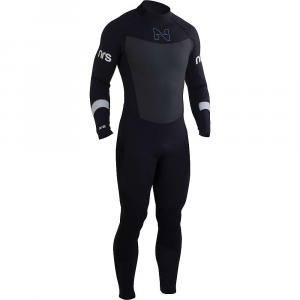 NRS Men's Radiant 3/2mm Wetsuit - The Mens Radiant 3/2mm Wetsuit by NRS mixes 3 mm and 2 mm neoprene for the perfect balance of warmth and mobility, this SUP-inspired wetsuit is the ultimate combination of performance, comfort and value. 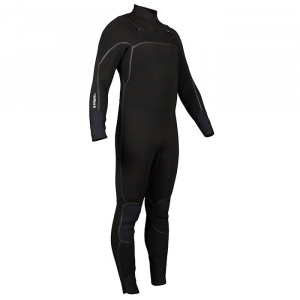 No more cold, damp wetsuit in the morning, the exclusive VaporLoft lining eliminates clamminess and feels soft and warm against your skin. 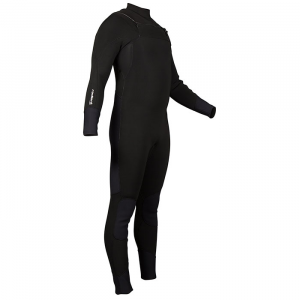 It has 3 mm Terraprene neoprene in the chest, back, shoulders and most of the legs that provide warmth where you need it most, while 2 mm Terraprene under the arms, along the sides of the chest and behind the knees allows excellent mobility for paddling, rowing and swimming. The PowerSpan exterior fabric stretches with your every movement for unrestricted range of motion, and smooth-skin neoprene on the chest and back reduce evaporative cooling. The heavy-duty YKK zipper is in the back so you can paddle your SUP, surf or body board in comfort. The glued and blind-stitched seams lie smooth against your skin for greater comfort, titanium laminate adhesive reflects heat back to your body keeping you warmer, and ToughTex pads protect your knees when kneeling on your board or on shore. No matter how much time you spend on the water you want to be comfortable, make sure you have the Mens Radiant 3/2mm Wetsuit by NRS. Paddlesports have entered a new era, and it's about time wetsuits did too. 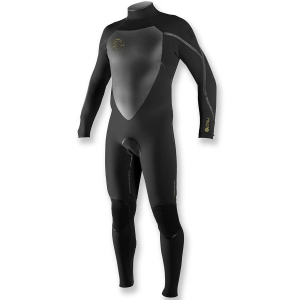 The SUP-inspired rear-zipper NRS Radiant 3.0 is our most comfortable full wetsuit ever. 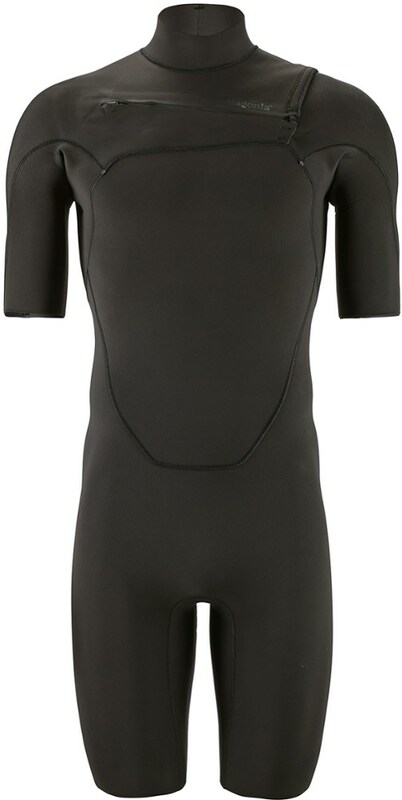 No more cold, damp wetsuit in the morning! Our exclusive VaporLoft(TM) lining, which doesn't absorb water, eliminates clamminess and feels soft and warm against your skin.The PowerSpan(TM) exterior fabric stretches with your every movement for unrestricted range of motion.We put the heavy-duty YKK zipper in the back so you can paddle your SUP, surf or body board in comfort.3-mm Terraprene(TM) neoprene provides outstanding insulation in cold conditions.Titanium laminate adhesive reflects heat back to your body, keeping you warmer.Glued and blind-stitched seams lie smooth against your skin and slow the flow of water into the suit.ToughTex(TM) pads protect your knees when kneeling on your SUP board or on shore.